Become Remarkable. This motto, delivered by Neurohacker Collective, is both great and offensive. It’s great for the obvious reason: being remarkable is a commendable goal. In a way, it sufficiently sums up exactly what the whole nootropic lifestyle is all about. Yet, it’s also offensive: because what the hell — are you saying I’m not remarkable?! YOU DON’T KNOW MY LIFE, QUALIA! 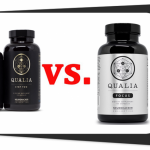 Because Qualia claims to be a remarkable nootropic supplement designed to increase your remarkableness, this Qualia review seeks to flip the tables on them: we’ll be using our remarkable nootropic review skills to determine the remarkableness of Qualia. So, let’s read the Qualia review and soak in this reviewer’s remarkable remarks! 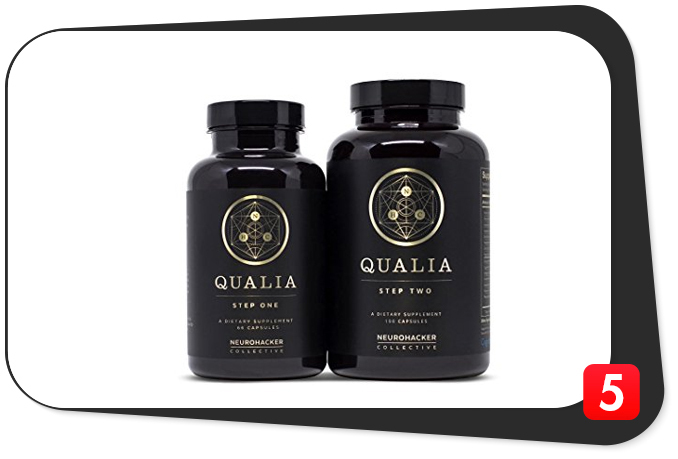 Two-Step Stack: One daily Qualia serving involves 3 Veggie Capsules of the Step One formula followed by 6 Veggie Capsules of Qualia Step Two. That’s a lot of smart pills. 40+ Ingredients: The reason for the two-step formula split: all them ingredients. Qualia seems to have packed anything and everything remotely nootropic into this formula. Behemoth Price: Fortunately, Qualia has a cheaper subscription option to alleviate the incredibly expensive single order price. Yet, the subscription method is still incredibly expensive. Rice Hull Concentrate as Organic NuFlow®, Vegetable Cellulose. Rice Hull Concentrate as Organic Nu-Flow®, Croscarmellose Sodium, Microcrystalline Cellulose. Take three (3) Step One capsules first thing in the morning on an empty stomach. Wait at least 20 minutes, then take six (6) Step Two capsules with food. Step Two must be taken with food to avoid stomach sensitivity. Qualia Original Stack stacks two HUGE stacks in a two-step stack attack against poorly optimized brain function and health. As opposed to Qualia Mind, which takes a simpler, singular stack approach to enhanced cognition, the original Qualia formula puts together 40+ ingredients in this hugely ambitious nootropic supplement. Had Qualia went the proprietary blend route, we would have immediately written this product off as a major scam. The Qualia Original Stack splits its stack into two stacks: Step 1 and Step 2. Vitamin B12 – Solid dosage of the correct B12 form (methylcobalamin). B12 may improve neurotransmitter levels and brain circulation, particularly for vegans and old folk. Artichoke Leaf Extract – With Coleus Forskohlii (see below), Artichoke Extract seems to improve cAMP status, enhancing the brain’s LTP growth potential. Rhodiola Rosea Extract – Powerful stress- and fatigue-reducing herbal adaptogen. Rhodiola reinvigorates the brain and body, allowing you to push your work day, workout, etc. to the next step. And that’s not just marketing mumbo-jumbo: this herb works and it works very well. DL-Phenylalanine – As precursor to L-tyrosine, DL-phenylalanine is a smart stack option with L-tyrosine (see below), furthering Qualia’s catecholamine enhancement benefits — e.g., better mood, focus, energy. Centrophenoxine – Similar to DMAE (except better), centrophenoxine is often recommended for age-related memory issues. Seems to work via cholinergic brain channels. N-Acetyl L-Tyrosine – L-tyrosine is good, but N-Acetyl-L-Tyrosine is better. NALT converts to catecholamine neurotransmitters, which are otherwise depleted under stressful conditions — most notably, sleep deprivation. Purenergy™ – Two-parts caffeine and pterostilbene, Purenergy™ seems to be a quality energy source, better than your standard caffeine option for this brand’s use of the highly antioxidant polyphenol pterostilbene. L-Theanine – This anxiety reducing amino maintains caffeine’s energy and focus enhancing benefits while reducing the drug’s jittery side effects. Always a good idea to stack L-theanine with your caffeine. Noopept – An interesting addition to this formula, Noopept is a racetam-like compound with significant cognitive enhancement potential. However, tolerance buildup is a common concern with this synthetic nootropic, potentially decreasing Qualia’s mental sharpening abilities over time — insomuch that they rely on Noopept. DHEA – Hmm… DHEA sort of makes sense in a bodybuilder stack for its steroidal prohormone status, yet even as a “steroid” DHEA is remarkably ineffective. And yet it’s a banned substance for competitive athletes, limiting Qualia’s target demographic to non-athlete users. Coleus Forskohlii Extract – As we already mentioned, Coleus Forskohlii pairs well with Artichoke Extract for their cAMP enhancing abilities. The result: better LTP growth and fat burning potential. BioPQQ™ – On our BIG List of Nootropics, PQQ ranks under the “Brain Energy Nootropics” segment for this compound’s potential protective benefits on brain “power plant” mitochondria. While the research isn’t quite there yet on this bad boy, the compound’s potent antioxidant status speaks well in its favor. Citicoline – Two-parts choline and cytidine, the precursor to uridine. Ginkgo Biloba – Circulatory enhancing herb with working memory benefits. Alpha GPC – Dense choline donor for acetylcholine synthesis. Phosphatidylserine – Key phospholipid for brain cell membrane health. Bacopa Monnieri Extract – Ayurvedic adaptogen for learning and memory. 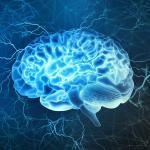 Sure, those nootropics may do something advantageous towards brain and body health. Yet, we wouldn’t gamble 800 mg on, say, ALCAR, which seems to only significantly benefit elderly cognition. 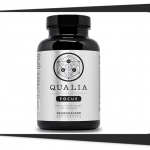 Even so, the comprehensive range of nootropic brain bio-benefits here is impressive, and it’s made all the more impressive by the fact that Qualia decided to keep everything here proprietary blend-free. Essentially, what Qualia accomplishes here is …well, everything. 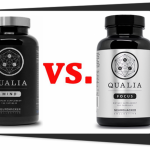 Qualia’s formula design seems to target all of the key elements of a highly optimized brain, supplying both cognitive enhancement and nutritional nourishment for a healthy boost on mental performance. And it’s an incredibly impressive, ambitious design that Qualia seems to pull off. Such ambitious projects are considered ambitious due to the potential risks involved. The first risk that comes to mind: negative ingredient interactions. Individually, each ingredient in Qualia’s stacks make sense (for the most part — we’re looking at you, DHEA). Yet, collectively, the ingredients may react unfavorably, resulting in adverse health effects or (what’s more likely) poor intestinal absorption — meaning that not all ingredients may get absorbed into the body upon digestion. Qualia does alleviate such concerns by investing in high quality, premium nootropic ingredients. Yet, that then comes with a separate concern: pricing. This ish ain’t cheap. And it’s you who’ll have to fork over the dough to make any of this work. Having said that, if you have the dough, then hell yea — Qualia might just be the stack(s) for you. Yet, the question remains: Can a slimmer, more refined nootropic stack accomplish more or less the same benefits as Qualia without breaking the bank? Essentially, Qualia aims to optimize the underlying physiological structures related to mental performance and emotional regulation. 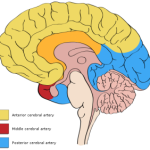 Additionally, the Qualia website lists neuroprotection, neurogenesis, neuroplasticity, cerebral blood flow, energy & metabolic support, and cell membrane integrity under “How to Build a Better Brain” — indicating Qualia’s intent to improve upon these particular brain bio-pathways. Altogether, Qualia seems geared to improve brain health and function across the board for both long- and short-term mental performance improvements. “Scientists, artists, creators, entrepreneurs, activists, parents, students of every kind.” Again, we’re quoting Qualia on this one. The target demographic of Qualia is quote-unquote “anyone who wants to do meaningful things with their life, experience deeply and profoundly, and fully optimize their capability towards those goals.” Essentially, anyone driven enough to spend $120+ per bottle may find value in Qualia. For the most part, none of Qualia’s ingredients raise any RED flags. Nor do any of Qualia’s additives or manufacturing practices. On the whole, the customer reviews to Qualia seem generally positive, with little to no mention of side effect incidents. While our concern with Qualia’s formula is that negative ingredient interactions are a possibility, this concern primarily focuses on how certain ingredients may impair the efficacy of other ingredients. We don’t see much reason to worry over side effects with regards to Qualia as a whole. Quality. Qualia. Psh, more like quality — am I right? These nootropics are high quality stuff, as well as those clean capsules. Quantity. Namely in the dosage category: a lot of highly dosed ingredients. Transparent. Qualia does us a major service by actually showing all of their dosages, rather than going the bogus “proprietary blend” route. Informative. The Qualia website explains the ins and outs of its formula pretty well. Quantity. Namely in the ingredient count category: too many ingredients runs the risk of negative ingredient interactions. DHEA. This prohormone prevents competitive athletes from taking Qualia. If you buy the original Qualia stack through the Neurohacker Collective website, you’ll find the Single Order and Subscription pricing options. Signing up for the autoshipment “Subscription” option will save you $50 on your first shipment — after which each month’s savings reduce to $20 per month. Bear in mind that you’re only receiving 22 days’ worth of servings between the Step 1 and Step 2 formulas, which more or less rounds out to a month, if you only consume Qualia during the 5-day work week. Neurohacker Collective went and did what many manufacturers are likely too afraid to do, which is stuff all of the best nootropics (and then some) into a single formula. It’s an ambitious project that Qualia seems to accomplish well enough… although, we’re not sure to what extent much of Qualia’s formula is really all that essential to healthy cognition enhancement. A clinical study would certainly work in Qualia’s favor here. Yet, it’s an undoubtedly impressive, premium nootropic stack that, if you can afford it, is certainly worth a try. 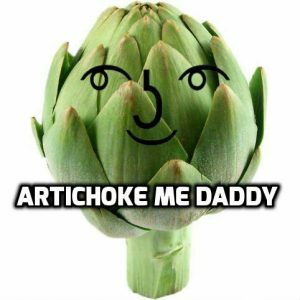 I will neither take nor recommend Neurohacker products again. This company hired me (pHd) as a consultant, then paid me, and others as well, according to my bank, with a fraudulent check.